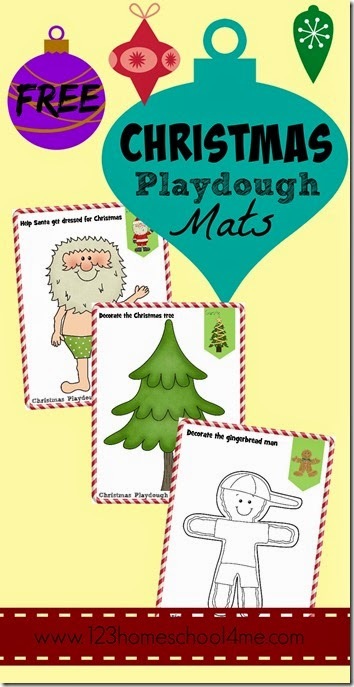 Kids are going to love these interactive Christmas Playdough Mats! Let their creativity soar as they play, learn, and strengthen their fine motor skills. The perfect Preschool Christmas activity for kids. Kids love playing with playdough! Now you can use kid favorite playdough to help toddler, preschool, and kindergarten age kids LEARN! Kids can use critical thinking skills, counting, sequencing, and creativity to play with these Christmas Playdough Mats this December! 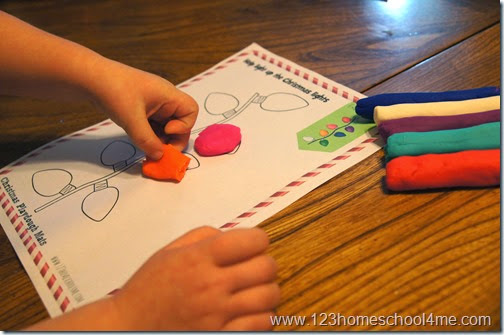 Here is a extra fun way for toddler, preschool, and kindergarten age children to play with playdough in December. These fun, playful Christmas playdough mats will spark lots of creative play. Just print the FREE playdough mat(s) you like and have your child follow the directions to complete the holiday picture. And just in case you are looking for a fun, seasonal playdough recipe, here are 20 Christmas Playdough recipes to choose from!